Russia’s chemical weapons currently resemble more of a threat than a savior to national security, with dangerous levels of aging stockpiles. Time is ticking to solve the problem, with a January 2013 deadline looming. 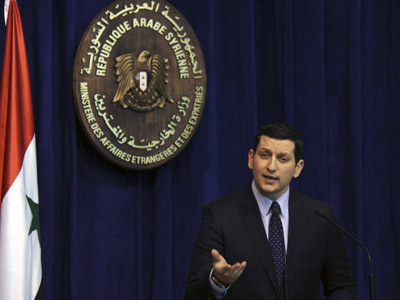 The state of affairs is worsening every year as more chemical weapons in dangerous condition are being found, said Col. Vladimir Mandych, a senior official in charge of chemical weapons safety, commenting on the situation at a press conference on Tuesday. Between 1996 and 2009 only 522 such containers were found, but that figure rocketed in 2010 as numbers increased to 1,205. In the two years since then the amount has almost tripled, with 3,010 containers of chemical weapons needing urgent attention by 2012. In total, since clear up efforts began back in 1996, more than 7, 000 chemical weapon containers have been found in alarming condition. 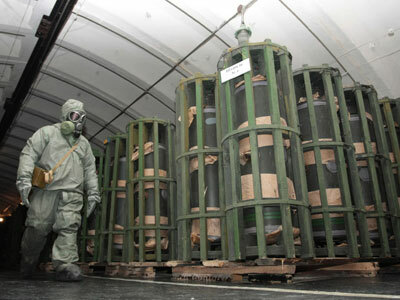 Posing a constant and ever present threat, Russia has vast stockpiles of Yperite (mustard gas), phosgene, lewisite, as well as poisonous gases such as sarin and soman. These were all largely built up during the days of the Soviet Union, between 1963-1987. Today their charges and fuses have been removed, officially meaning they are no longer weapons, though the substances inside each container could still prove deadly if released. Their time in storage has already been prolonged twice, with the fast approaching date of January 1, 2013, being set as the time when all stockpiles expire and the stored substances could become increasingly hazardous. The visible indicator that stockpiles have gone bad is a special painting on the container, which changes color if any dangerous substances leak. 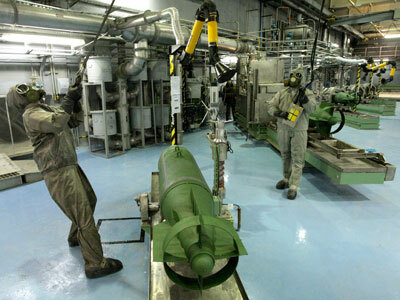 Destroying chemical weapons has proven a complicated process for Russia.Inheriting 40,000 tons of chemical weapons from amounts stockpiled during the Soviet Union, the threat of a leak and the resulting threat to lives, persists 20 years later. Russia has already eliminated around 65% of its stockpiles, after starting the process on the back of an international accord signed in 1993 involving 190 other nations. However, it is estimated it will take at least another two years before all remaining stockpiles have been safely eradicated. 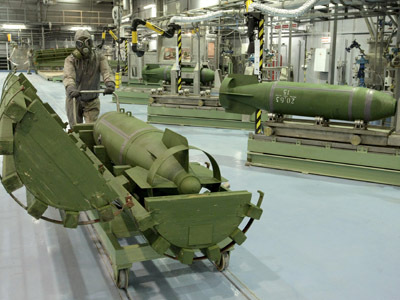 Currently, six disposal facilities are in operation, where they hope to have destroyed all weapons by 2015. However the final stage in this process is proving the most difficult and hazardous, as it means eliminating some of Russia’s most lethal chemical weapons. “We are about to start the final stage of chemical weapons destruction [program] – elimination of weapons of complex structures [consisting of poisoning substances and explosives]. No country has ever done that,” Mandych said. Since this stage is also the most expensive one, 15 countries are supplying Russia with aid, including equipment and helping to construct the necessary facilities.